Roman Quinn is expected to begin the season on the DL. WEST PALM BEACH, Fla. — After the Phillies’ scheduled game against the Houston Astros was canceled because of rain Tuesday morning, manager Gabe Kapler revealed in a text message that he expects outfielder Roman Quinn and reliever Tommy Hunter to open the season on the disabled list. Quinn, out with a strained oblique muscle since late February, had entered camp as a likely reserve outfielder, but that role will likely go to Aaron Altherr. 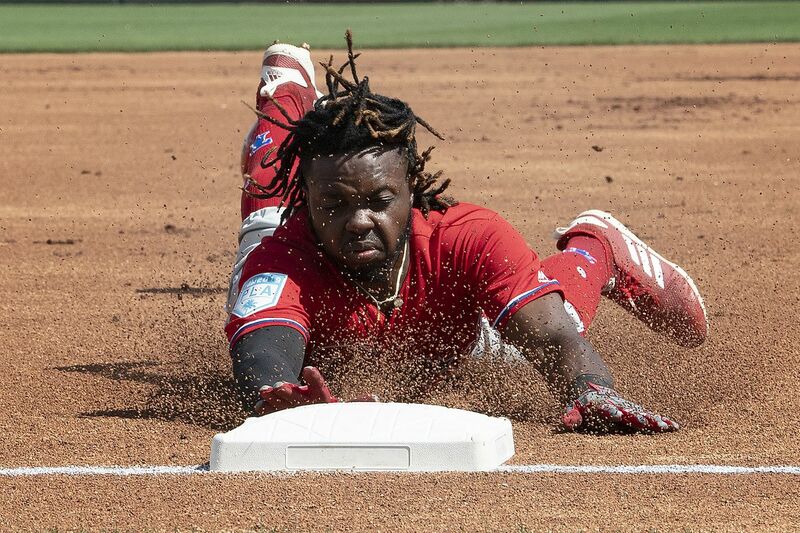 That will leave the Phillies with an opening-day bench of Altherr, outfielder Nick Williams, utility man Scott Kingery, and catcher Andrew Knapp. Hunter has not pitched in a game this spring because of a strained elbow and will open the season on the injured list for the second straight year. The news about Hunter creates an opening in the Phillies’ eight-man bullpen. Seven spots figure to go to David Robertson, Seranthony Dominguez, Hector Neris, Pat Neshek, Jose Alvarez, Juan Nicasio, and Adam Morgan, with Victor Arano and Edubray Ramos fighting for the final opening. The rainout Tuesday deprived right-hander Drew Anderson of one last Grapefruit League start. He finished with an 0.71 ERA in four starts covering 12 2/3 innings and is expected to open the season in triple-A Lehigh Valley’s rotation. ... The Phillies will be in Clearwater on Wednesday for a 1:05 p.m. game against Detroit with Nick Pivetta the scheduled starter. Neshek, Robertson, and Neris are also expected to pitch, and Bryce Harper will start and play in right field.